Choosing the best activities and events for Harrisburg, PA seniors depends on the time of year and interests of the group, but there are certainly many events to choose from. Harrisburg is beautiful in the summer and has many outdoor activities available for seniors. While during the winter, attending the theater or visiting one of the museums provides a perfect outing to beat the winter doldrums. 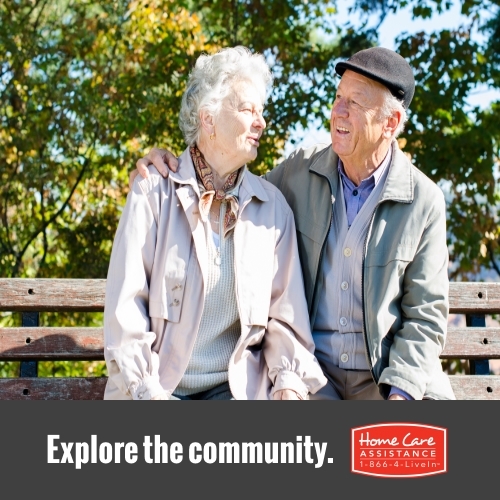 Harrisburg senior home care provider, Home Care Assistance, has rounded up some of the best upcoming and ongoing activities for local seniors. Visiting the museum is a great activity during the winter or summer. Seniors will enjoy viewing dinosaur exhibits, gazing at stars in the Planetarium, experiencing Pennsylvania’s Native Americans’ journey through time, and cruising past antique cars and planes. The museum is closed on Tuesdays and is $6 for seniors. This fascinating exhibit will be in Harrisburg until June 2015 at the National Civil War Museum and explores the conditions in the POW camps during the civil war. The museum is open 7 days a week and admission for seniors is $10. Visiting the gardens is a wonderful way to enjoy warm summer days throughout the season. May 3, 2015 the Fort Hunter Garden Faire will celebrate the Mansion’s spring opening with a plant sale, garden chats, Victorian dancing, and live music. Admission is free for everyone. It’s not summer unless you take your senior loved one to a Harrisburg Senators ball game on a sunny afternoon. From April 9th to September 7th seniors can enjoy a loaded hot dog, peanuts, and cold lemonade while watching the game. Senior discount tickets are available. Regularly engaging in social activities is one of the best ways to keep seniors happy and healthy both physically and mentally. If your schedule can’t accommodate regular activities with your elderly loved one, find a Harrisburg caregiver who can provide transportation and regular companionship, in addition to medication reminders, grocery shopping, and light housework. Home Care Assistance of Harrisburg is available around-the-clock, offers flexible care schedules, and will never require you to sign a long-term contract. Learn more about our comprehensive services by calling (717) 540-4663 to schedule a free in-home consultation.